Don’t become a “LOW BID” victim. . .
Let us do it RIGHT the first time! 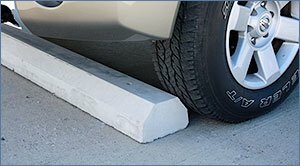 Protect buildings, vehicles and other fixed structures from accidents with our parking lot bumpers. 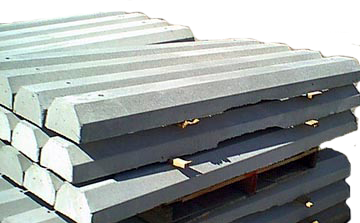 Our parking lot bumpers are made from high strength concrete, with internal rebar reinforcement. 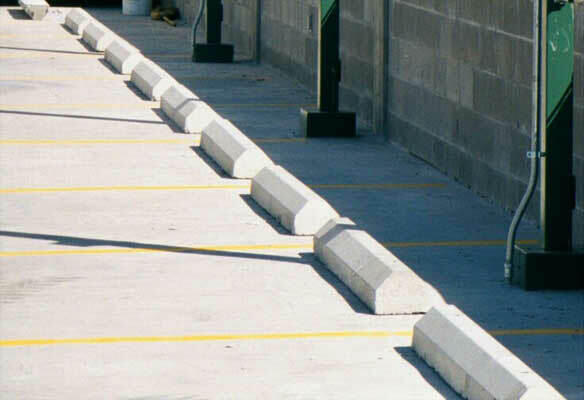 When considering adding parking lot bumpers / wheel stops to your lot you also have to think of the pedestrians walking across the lot after exiting their vehicles. Poorly installed bumpers can create a trip hazard and so every consideration should be given to their location. With years of parking lot experience we are fully qualified to advise you on the best ways to reduce the risk of an accident. Let us help you create a positive image by keeping your parking lot safe, easy to navigate, and inviting. If the job is worth doing, it’s worth doing well. We don’t just try for “good enough”, we strive for excellence in all we do. We believe that job satisfaction comes from understanding that what we do must help others. For us this means creating safe, functional and efficient parking lots. We take pride in our work and design with the driver in mind, always aware that the layout can affect safety of drivers and pedestrians. We will get the job right and will make you look good in the process. 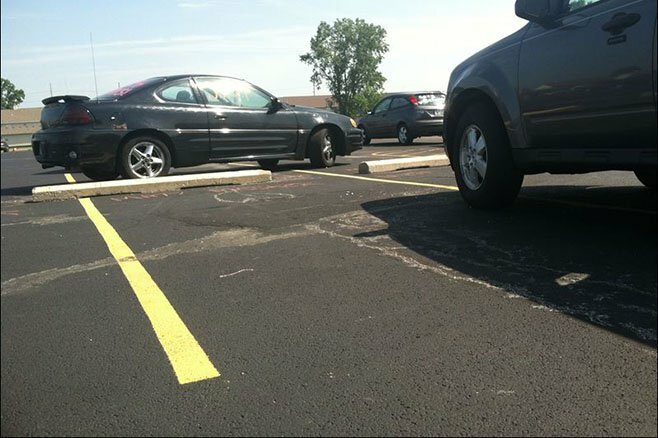 The images on the left show just some of the recent parking lot bumper work we have done. With so much to consider, why risk becoming a Low-Bid victim.